Has been helping readers complete home improvement projects around their homes since 1951. 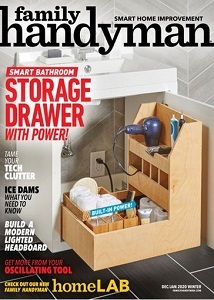 The magazine is filled with detailed information on how to complete jobs ranging from appliance repair to carpentry work. Features articles about home care outside of the house, walking readers through deck building projects and landscaping jobs that they would otherwise have to pay someone else to do.